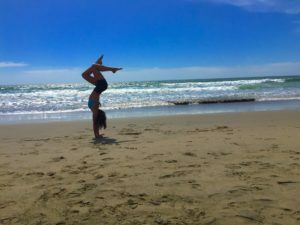 This post is all about relevant lat anatomy, mechanics, and how to measure progress in flexibility and control of the lats…both for a nice handstand line, and for injury prevention! 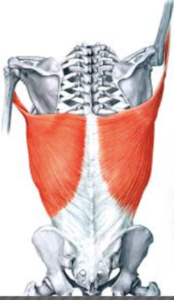 ​OK, so how do we figure out if tight lats are a problem? My favorite way to test for tight lats is the shoulder flexion wall test. This is a super easy way to not only quantify the amount of tightness in your lats, but also to track progress after implementing a stretching program. All you need for this is a flat wall, your iphone, and a friend. Starting position: sitting with your back to the wall, scoot feet forward and flatten your entire back completely against the wall. Engage abs to keep ribs in.From here, raise one arm in front of you slowly as far as you can, with your palm facing up and your elbow STRAIGHT. Use your other hand to monitor the point at which your back comes off the wall OR the point at which your palm starts to turn INWARDS instead of staying UP. Take a photo of this point. This is your functional lat muscle length. If you’re a super nerd like me, you can download an app like “Coaches eye” or “dartfish” that will let you actually measure this angle. If you’re not a super nerd, you can just use this as the “before” photo for lat muscle length. What’s normal? 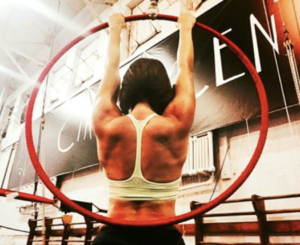 As with all things, circus artists have a different standard of normal, and it depends on what you do. 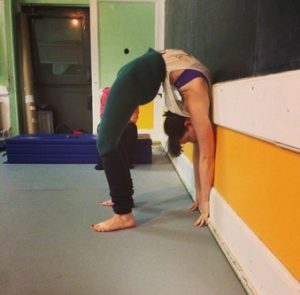 If you’re a trampoline artist, or a tumbler, you may not need a ton of flexibility in your lats. 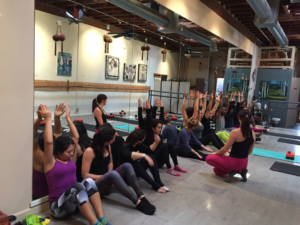 However, if you’re an aspiring hand balancer, contortionist, or aerialist, it is VITAL that you not only have adequate lat flexibility, but also can control that flexibility with the rest of the muscles surrounding your shoulder girdle. 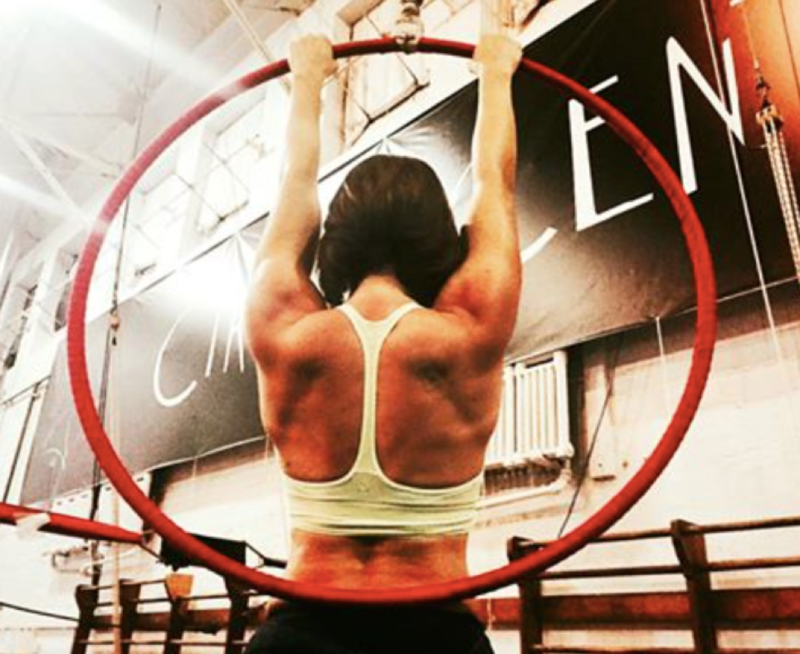 For circus artists that fit the latter description, I recommend at least an angle of 180 degrees of active range of motion. However, the best way to determine your specific needs and goals is to obviously see a sports medicine provider- there isn’t a one size fits all answer! YOUR TASK before the next post- take (and maybe measure?!) your lat photo! Where do you fall on the 180 degree spectrum? The next post will be dedicated to my favorite lat stretches and exercises to avoid injury caused by dysfunction in this muscle! Questions, comments, or your favorite “I hate my lats” stories can be directed below in the “comments” section!